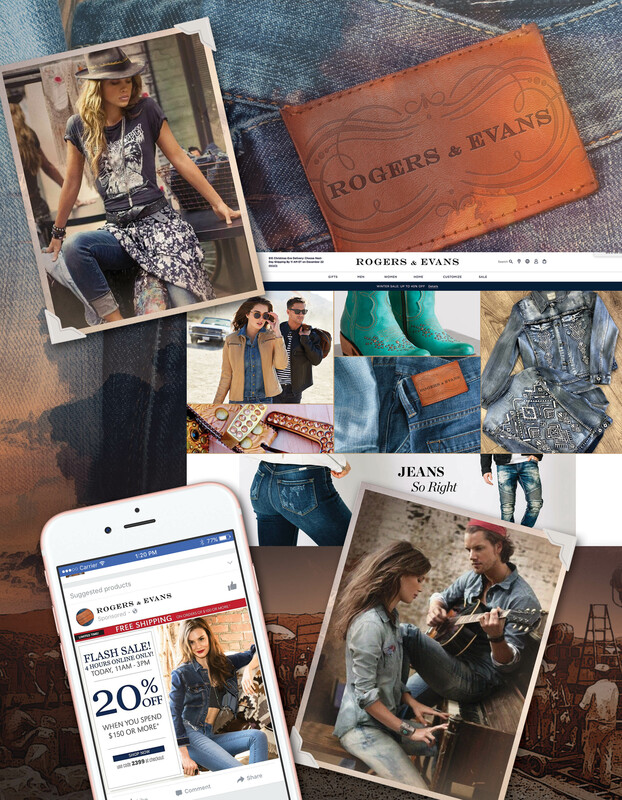 Rogers and Evans, now in development, will be a trend setting, denim driven, American heritage, apparel and accessories brand with inspiration from King of the Cowboys, Roy Rogers and Queen of the West, Dale Evans. Roy and Dale are iconic figures in American culture and the Roy Rogers brand was second only to Disney in brand recognition from the late 1940’s through 1960 with an estimated billion dollars in varied product sales. The nostalgic air of this Hollywood era, and the “Western” fashion influence will be given a new, contemporary look. The initial product offering will feature USA made women’s and men’s denim jeans, jackets, tops, graphic tees, leather accessories and boots with a unique Rogers and Evans brand identity – a brand with a vintage feel and authentic, American flair. Roy Rogers was proud of his Choctaw, Native American heritage, and was revered by western tribes for his treatment of their culture in his movies and television series. With this heritage serving as a major inspiration for the brand, Rogers & Evans plans to produce a large portion of the collection in NYC Garment District, and the South East US, and work with local artisans and Native Americans and custom boot and leather accessory manufacturers in the United States.